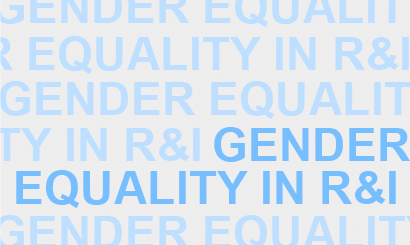 Welcome to ACT, a H2020 funded project that will enable better access, sharing and improvement of knowledge and practices for the implementation of gender equality measures at universities, research centres and research funding organisations in Europe. It promotes the creation of Communities of Practice (CoP) as agents to develop gender equality actions, and supports them by facilitating infrastructures and providing tools for collaborative learning in three fields: gender balance in careers progression, gender balance in decision-making, and integrating the gender dimension into research content and higher education curricula. The project will support a network of 7 Communities of Practice and will contribute to consolidate the multistakeholder engagement of the GenPORT portal, a central gateway to gender and science resources and events at large. Building upon GenPORT, ACT offers an online hub which comprises the ACT main website and individual content management systems for each Community of Practice. ACT provides with practice toolkits, an adaptable and flexible evaluation framework for monitoring collaborations and gender equality plans, synergy conferences, workshops, and training in participatory methods for institutional change. All support measures are designed to reflect institutional diversity as well as differences in national contexts. Coordinated by Universitat Oberta de Catalunya, the project lasts for 3 years (from May 2018 to April 2021), and involves 17 institutions from different European countries and Argentina. This website will include all the information about the ACT project and is the main entrance to get to know about the supported Communities of Practice, resources and events, in synergy with the GenPORT portal. Stay tuned!